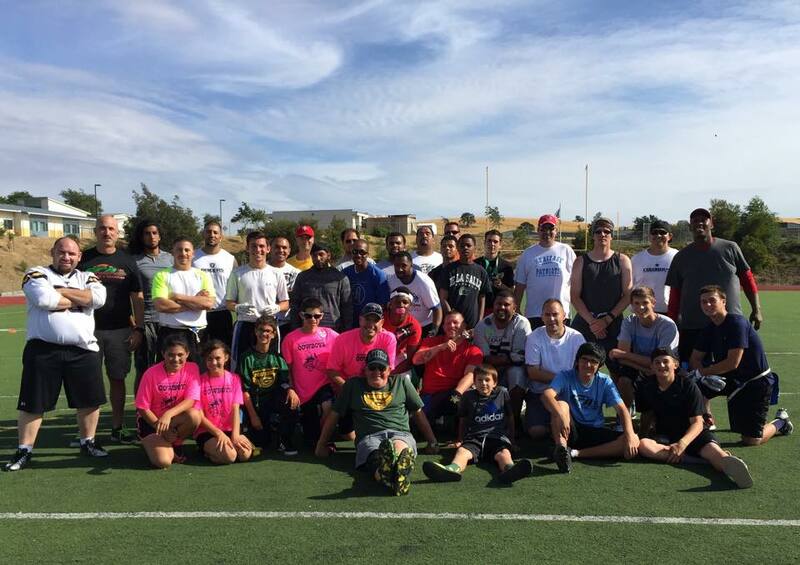 The Flag Football experience is not complete with out a set of terrific coaches. Although our coaches are volunteers (and generally parents! ), we pride ourselves on having professional, well trained coaches so that the players have the best experience possible. While a coach may teach and work with many players through their career, a child will remember his or her coach forever, so we want to make sure the impact you have on your team is a positive one. In order to coach for California Football Academy we will ask that you attend a coaches training. This training will be around 2 hours long and will include reviewing the rules, basic practice setup, reviewing the coach code of conduct and overall expectations of our coaches. You will be spending enough of your own time, our intent is not to spend too much of it here, but to set you up for success during the season. Teams can have a maximum of three coaches (one head coach and two assitants). If you are interested in coaching, please register on our on-line coach registration. Similar to our player registration, but for coaches and volunteers. If you have any questions, please e-mail: californiafootballacademy@hotmail.com . Thank you for your interest, we look forward to a terrific season!